Not a chef by trade, Kevin Kossowan became a prominent member of the city’s vibrant food community after leaving his career as a financial planner. 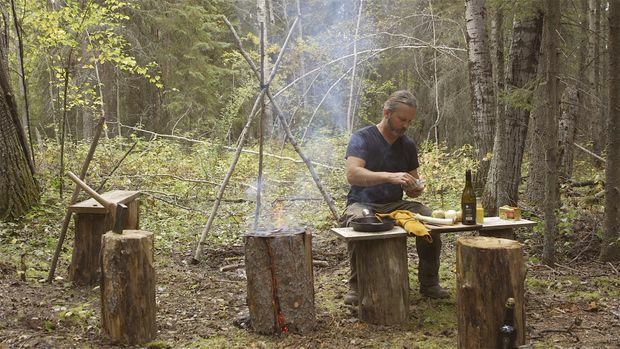 The term terroir is most closely associated with wine, but an Alberta filmmaker is showing his viewers how to use it in a much deeper culinary context with his original web series From The Wild. Kevin Kossowan is an integral part of the Edmonton food scene. But, as is evident in the series he shoots in remote locations around the province and beyond, he is hardly a typical member of that scene. Not a chef by trade, Mr. Kossowan became a prominent member of the city’s vibrant food community a decade or so ago by leaving his career as a financial planner and becoming both a food blogger and an urban agriculturalist in his backyard. Chicken coops, garden plots, foraging along the river valley, participating in the local chapter of Slow Food Canada — it wasn’t long before Mr. Kossowan founded a “grow your own” type movement in his own community. It was this type of urban innovation combined with an eye for film that eventually led him to take his camera and explore Alberta’s roads less travelled in 2014. Debuting in February, 2014, the early episodes of From The Wild were beautifully shot by Mr. Kossowan, but they were also gritty and raw. Over its four seasons, it has featured chefs such as Connie Desousa of Charcut Roast House in Calgary and Amanda Cohen of New York’s Dirt Candy, winemaker Tyler Harlton, abattoir operator Jeff Senger and Kevin Kent, owner of Knifewear. They hunt, gather and cook meals in the Canadian wilderness, using a broad range of wild ingredients such as moose, beaver, cattails and more. 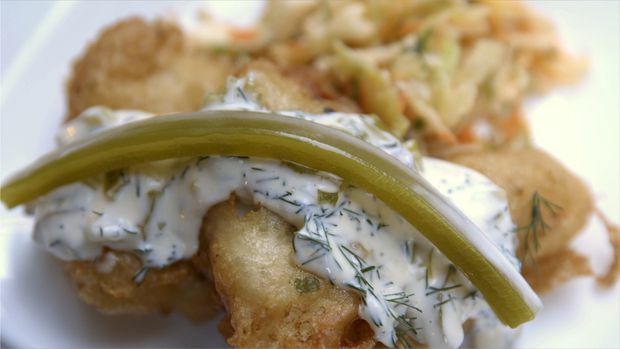 The third season of Mr. Kossowan’s series, which was released in 2017, was nominated for a prestigious James Beard Media Award in the “Video webcast, on location” category. The third season of Mr. Kossowan’s series, which was released in 2017, was nominated for a prestigious James Beard Media Award. It’s definitely not the norm for Canadian food media either. Although there were nearly 40 media award categories covering everything from podcasts and specialized cookbooks to newspaper and online articles, fewer than 1 per cent of the nominees hailed from the Great White North. Mr. Kossowan’s series had some stiff and dramatically different competition, being up against Bon Appetit’s web series Working 24 Hours at … and the First We Feast YouTube channel. Bon Appetit won and Adam Rapoport, the editor-in-chief who accepted the award, acknowledged that the three nominees were remarkably different and that he was happy to see a unique and independent Canadian filmmaker such as Mr. Kossowan in the running. Although he didn’t leave New York with a coveted Beard award, Mr. Kossowan was supported at the gala by some of his culinary peers, including Kevin Kent and Jeff Senger. His continual work to highlight regional Canadian cuisine has earned international recognition.